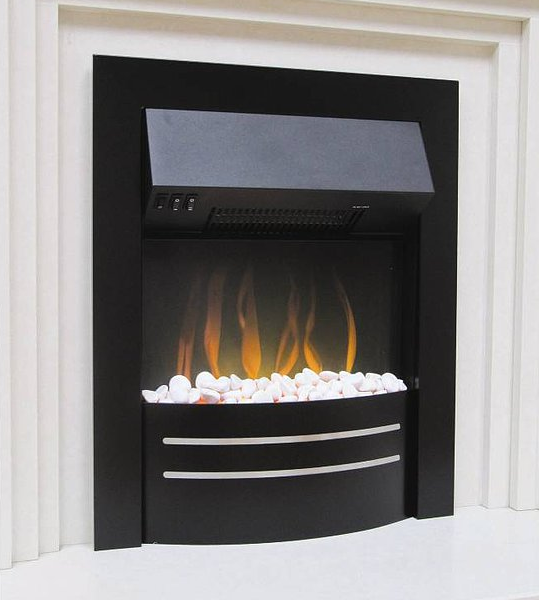 Categories: Electric Fireplaces, Evonic Fireplaces, Fires, Insets Fireplaces and Stoves, Traditional Fireplaces and Stoves. 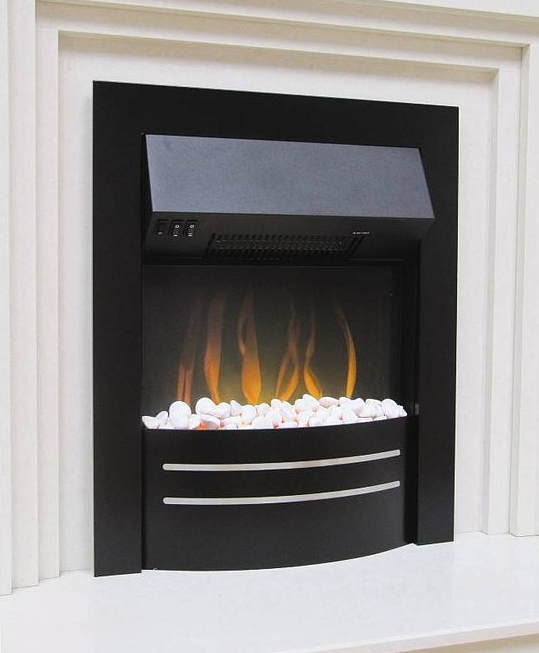 The Amathus inset electric fire is not a one trick pony – it comes with a variety of fuel effects and finishes to choose from. This includes Black, Brass, Polished Chrome and Satin Stainless. No matter what your interior design scheme is, you’ll find an Amathus to fit. The variety doesn’t stop there. It also comes with two different flame effect options. 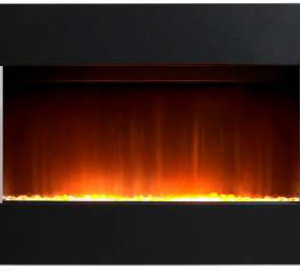 The Evo-Flame effect, which creates the illusion of deep, powerful flames, works alongside a hot ash effect fuel bed. The LED effect is good for 50,000 hours of running time, and can be easily switched from a high to a low setting if you purchase the optional remote control. The other flame effect option is the ribbon flame effect. It is created by using a 20W low energy bayonet fitting light bulb (the industry standard), and it is the commonly available alternative to the Evo-Flame techology. 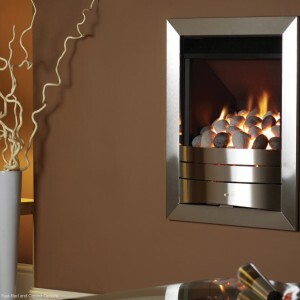 The ribbon flame effect can be turned on with or without the heater.